Casing : M.S. /Aluminum / Acrylic Casing from three sides and aluminum cover with transparent acrylic front. With a goal to cement our reputation in this domain, we are affianced in manufacturing, exporting and supplying a wide range of Single Limb Manometer. 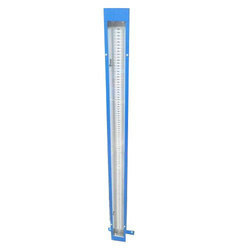 This manometer is used in several industries for precision measurement of pressure and differential pressure for flow & level measurement. 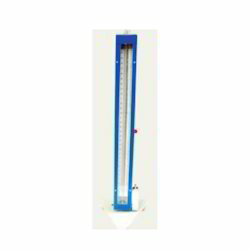 This manometer is precisely manufactured with the help of qualitative raw material and modish technology under the directions of our veteran professionals. 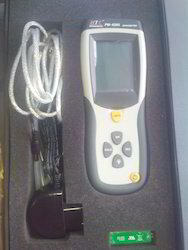 Also, clients can avail this manometer from us at market leading rates. Fluid Red Gauge Oil Sp.Gr 0.823. 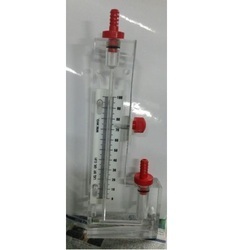 “KABIR” make U-Tube /Single limb /Inclined tube manometer is used for precision measurement of pressure, vaccum, differential pressure, and flow measurement in plants & labs where certain accuracy is required. 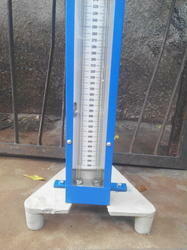 We provide Acrylic Body U Tube Manometer to our clients. 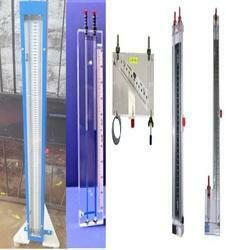 Looking for Manometer U Tube Single Limb ?